Many meetings and presentations seem to have been well worth while for this company just having returned from two maritime shows in Russia. 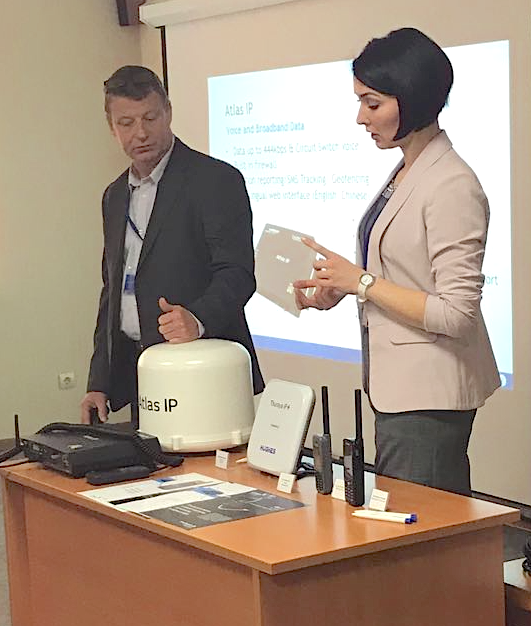 Thuraya Telecommunications Company recently completed two maritime roadshows in the Russian Far East cities of Vladivostok and Yuzhno-Sakhalinsk alongside its regional service partner, GTNT. The telecommunications company met with influential industry officials to hold presentations on the Thuraya Atlas IP - a top-range ‘at sea’ satellite internet terminal and the first Thuraya equipment of its kind to receive type approval from the Maritime and River Registers of Russia. Both cities on Thuraya’s tour have access to the Sea of Japan and the Okhotsk Sea, and are regular hubs for naval professionals and potential customers. Keith Murray, Senior Product Manager at Thuraya said that the Russian Far East is a strategic region for maritime business and Thuraya has now gained access to it. There’s a lot of potential for the company here, with its busy ports, international trade routes, and maritime borders shared with Japan and the U.S.; the area is a hotspot for shipping, fisheries, transport and offshore energy. Thanks to GTNT’s help, we had successful meetings with several decision-makers and got to discuss our product and service offerings, and future collaboration opportunities. We are confident that the Atlas IP can boost operational efficiency across the region’s maritime enterprise as it is developed to meet the specific complexities of nautical communications. As a leading provider of maritime communication services, Thuraya is committed to delivering superior space-based voice and data solutions for ships and vessels at sea. 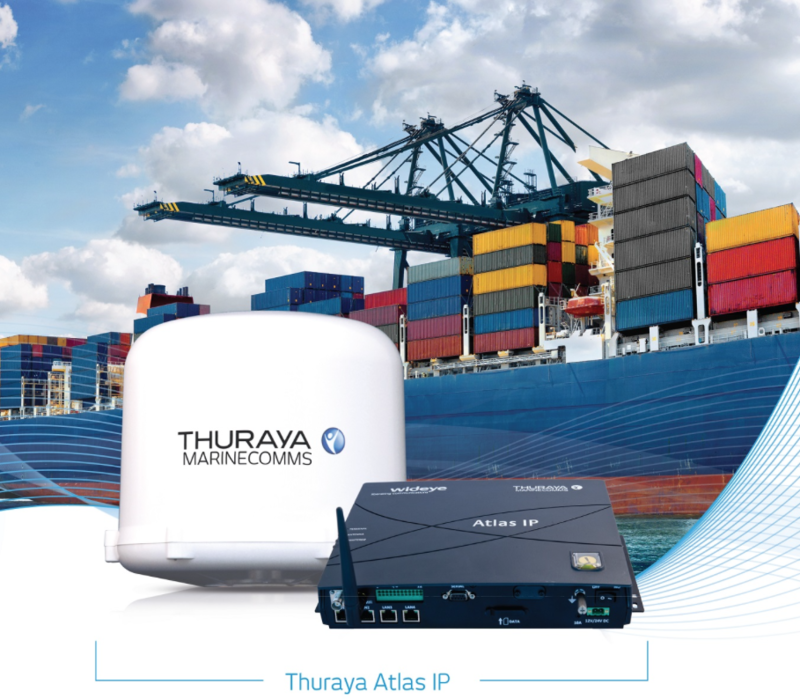 The Thuraya Atlas IP provides merchant, fishing, government and leisure users with a purpose-designed, fully featured maritime satellite terminal that supports voice and broadband IP data connectivity at speeds of up to 444 kbps. The terminal features improved power efficiency, a smaller form factor and greater versatility than rival products. It is also designed to have a single cable connection to the stabilized antenna, direct bulkhead mounting and built-in Wi-Fi. GTNT is a multiservice federal telecom operator, the only representative of Thuraya in Russia. They offer communication, hardware and targeted industry specific solutions at competitive and unique prices for each sector. With Thuraya entering the Russian maritime market, GTNT is now well positioned to offer their customers much awaited options of maritime solutions to address the government’s mandate that requires companies to fit their vessels with a single terminal.